How to use Table Calculations in Tableau? The table calculations are applied to the values in the whole table. For instance, to calculate a running total or running average, a single method of calculation is applied to the entire column. These calculations are not performed on selected rows. 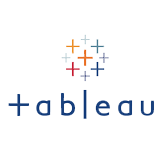 These calculations are created by a feature Quick Table Calculation in Tableau. Select the measure on which the table calculation has to be applied and drag it to column shelf. Right click on the measure and choose the option Quick Table Calculation. Choose any one among the below options to be applied on the measure. For instance, the running total of the profits earned for the data source is calculated by the above steps and this data store which is named as sample – superstore.xls is used for the calculation.